Product information "Lezyne Saddlebag Caddy M / with QR System black red"
Medium, wedge-shaped saddlebag. Velcro fasteners for attachment to seat stays and seat posts. Durable nylon fabric. Labeled internal organization bags. External, quickly accessible multi-tool case. Reflective logos and loops increase night visibility. Water-repellent zipper with large drawstring. 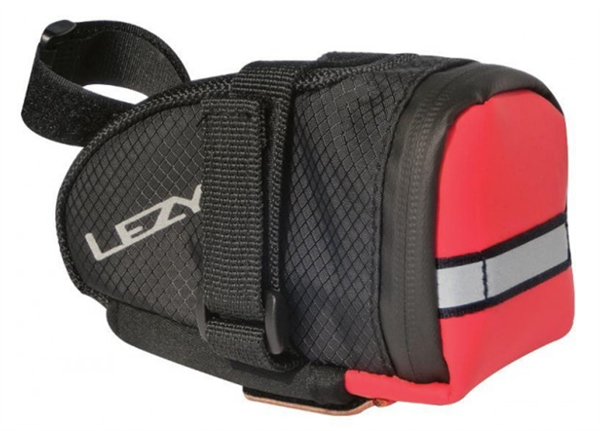 Related links to "Lezyne Saddlebag Caddy M / with QR System black red"
Customer evaluation for "Lezyne Saddlebag Caddy M / with QR System black red"